For decades, economists have been assuming that a logically balanced investment behavior influences the choices made in the securities market. A wise investor would always take their investment decisions, based on ground fundamentals. 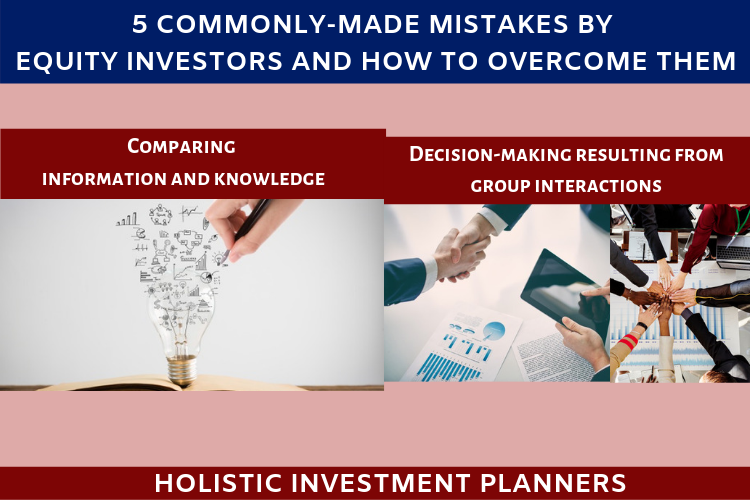 At the same time, there are a few common mistakes every investor should know about and avoid committing at any cost. Such mistakes are so common that they have an advantage of easy identification and prevention. This will ensure the investors avoid getting into situations, where they may turn out to be their own enemies. 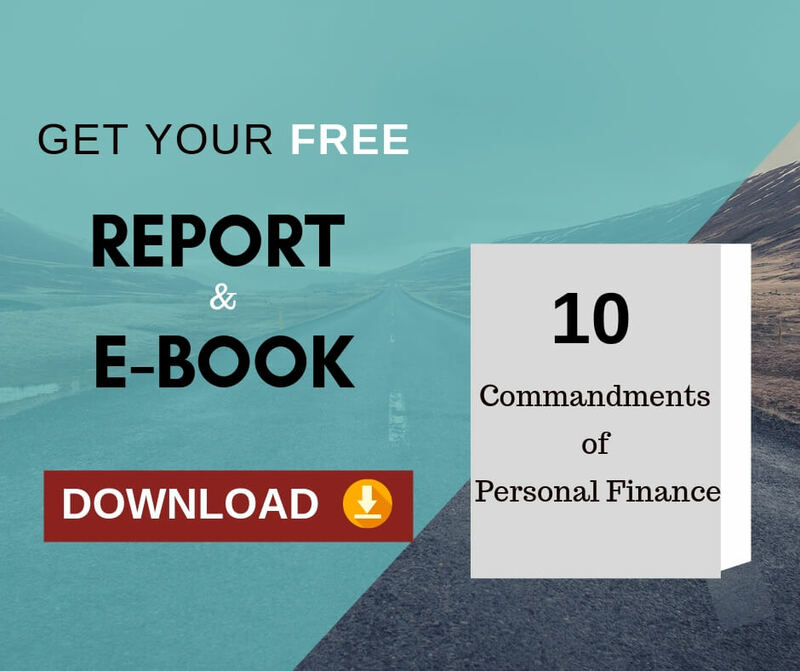 Let us get to learn about these lapses that investors generally tend to fall into. Investors tend to relate their knowledge levels with the amount of info gathered, failing to understand that these two are completely different things. More information can and should never be equated with better information, or knowledge expansion. Doing this will simply result into a mix-up. Contradictorily, where information is concerned, less is often more. Intellectual studies indicate that everyone has a subjective limit to the ability to handle information. Let us exemplify this theory. We often tend to make the same or similar kind of decision, irrespective of the amount of information we have. Information that we gather is likely to boost our confidence levels. However, the same does not enhances our skills and efficiency to make varied decisions. Instead of more information, what matters is what you do with the same. Despite apparent psychological constraints on our ‘information handling’ competence, many investors believe that having more information will help them outperform. This is strictly a false notion. What do we interpret from this mistake? Well, nothing rocket science. It has a simple and straightforward solution. It says that rather than struggling into the fusion of information that also accompanies a lot of noise, we should better concentrate our focus on collecting the essential facts. Most investors tend to perform on a time horizon, too short. As a result, they end up overtrading. In the pursuit to outwit each other in an insanely short time horizon, a number of investors even begin muddling noise and news. Let us understand this with an example. 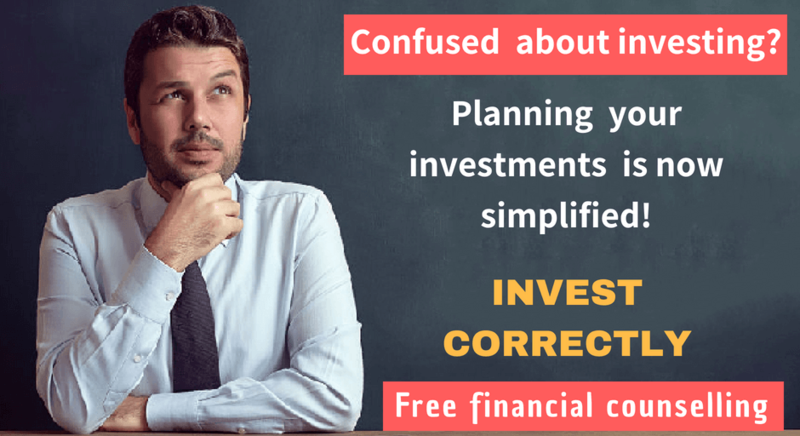 In the process of saving for your retirement 30 years later, the current status of the stock market should not concern you much.Let us compare this with another scenario, where you are saving for your child’s higher education (who currently is in his senior school). In the latter case, the time horizon is relatively shorter and this fact should be reflected into your asset allocation. Attention Deficit Hyperactivity Disorder (ADHD) keeps haunting the fiscal markets at all levels. Performance Measurement thus becomes a factor of increasing prevalence of short time horizons. This may result into a narrow outlook, which says that the more an investment is tracked – the more are the chances to find a loss. How do we handle this breach? Simply by expanding our time horizons. While making important financial decisions, it is rationale to gather evidence for the same and then proceed, rather than simply relying upon cooked stories. And, investors framing their worlds based on stories instead of evidences can prove to be really dangerous. Some told and heard stories may even be true, however they do not certainly prove to be profitable for the investors. What is the remedy to this misstep? Avoid getting distracted as much as you can. When likely to be distracted, be patient until you are able to give the evaluation the required time and effort. Why do the investors even think of carrying on with predictions and estimations, while investing? Research confirms that professional investors seem to be over confident and over-optimistic sometimes. Investors should stop relying upon anticipations without evidences. Rather than doing the guess work, they should better focus on a researched analysis. There are also investment strategies that do not need forecasting based on past work. There is a general belief that groups are at a better position in making decisions, compared to individuals. However, this is not true in most cases. Generally, groups tend to increase the problems with decision-making instead of reducing them. Groups often lessen the variance of opinions. This increases the members’ confidence levels and does not improves their accuracy. Groups also underperform when it comes to exposing hidden information. Therefore, using group interactions as a base for stock selection or asset allocation is like a self-imposed barrier in performance and decision-making. Often people believe that they have knowledge on every subject. Sometimes, it is better to talk to someone with a strong opposing view and exploring other alternatives available. Realising these 5 mistakes will help you see the stock market from a new perspective. That new perspective will give you more clarity. That clarity is power. Previous Previous post: What NOT TO DO, when investing in real estate?